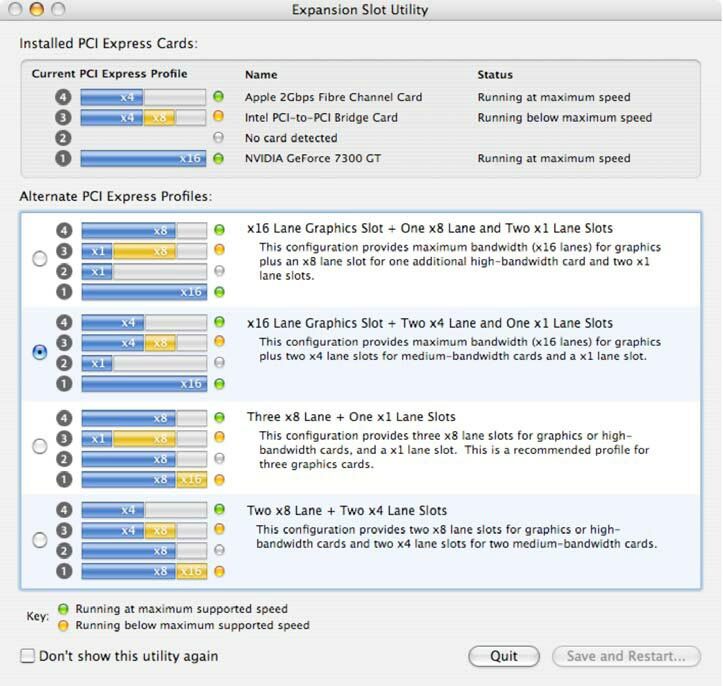 The AJA engineering, QA and technical support teams have determined the optimum slot placement for the AJA KONA cards in the Apple MacPro. In order to assure proper functionality, the card should be seated in the slot specified by AJA. For optimal performance of the KONA LHe card AJA recommends slot 2. See Option 1 for slot placement. The KONA 3/3G and LHi operate properly in slots 2 and 3. AJA only supports the PCIe version of the KONA cards in slot 2 of the 2008 Intel XServe. The PCI-X versions of the KONA cards (KONA3X, KONALH) should not be used in the 2008 Intel XServe. AJA only supports the PCI-X and PCI versions of the KONA cards in slot 1 of the Intel XServe. The PCIe versions of the KONA cards should not be used in the Intel XServe. The AJA PCI-X and PCI cards (KONA3X, KONALH) can be used in the Apple Intel XServe with the Apple PCI-X riser, P/N 922-7860.